This home is simply amazing! 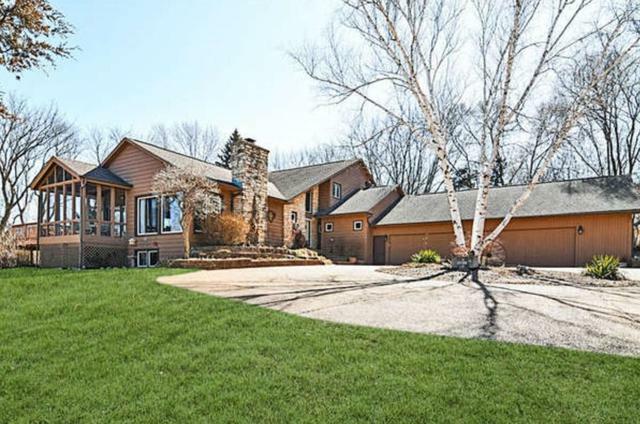 accessed by a private road & located on 5 beautiful acres. Bright, open foyer with beautiful landscape views from every window. Formal living and dining area with vaulted ceilings. 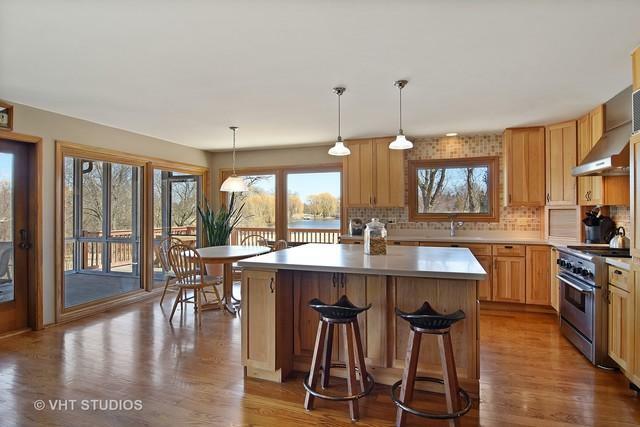 Many recent upgrades to the home inc. kitchen remodel in 2003 with hickory cabinets, large center island, corian counters and stainless steel appliances, open to family room and features large stone fireplace and new deck (2016). Hardwood floors throughout main level, all windows replaced (2005). Master bedroom suite remodel (2013) features bamboo floors and complete renovation to master bath inc. heated floor, frame-less glass shower, spa tub, dual vanity with granite counters & walk in closet. All bedrooms are good sizes with plenty of closet space. Finished lower level features wood effect vinyl planks,updated lighting and so much storage. 4 car garage with 2 car heated section. 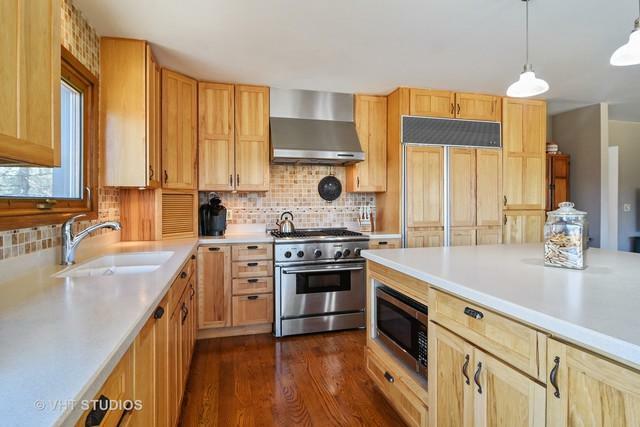 Close to forest preserve, walking and bike paths, great schools, area amenities shopping & dining.